Farmer’s Market serves as a preview night for Cal Poly's Open House weekend as well as for the clubs and organizations that are involved on campus. 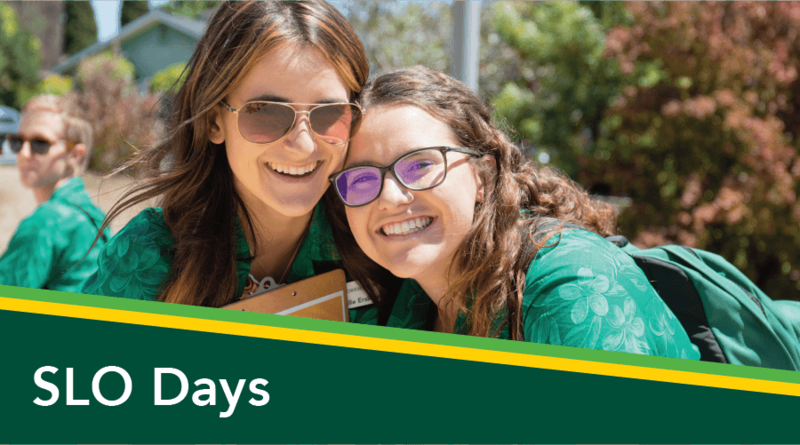 It is an excellent way for prospective students to learn about the many ways to get involved on campus while also getting a taste of San Luis Obispo culture at Farmer's Market. 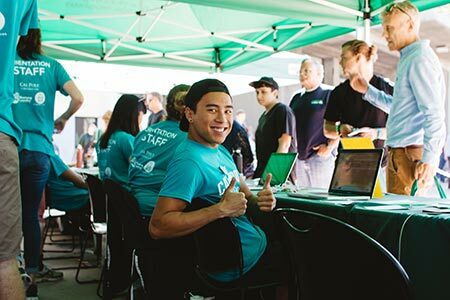 Cal Poly clubs and organizations will line Morro Street, while prospective students and their supporters enjoy an informative night in downtown. Check-In for Open House begins Friday morning, followed by the University Welcomes. Bring a digital or printed copy of your ticket. You can RSVP here. 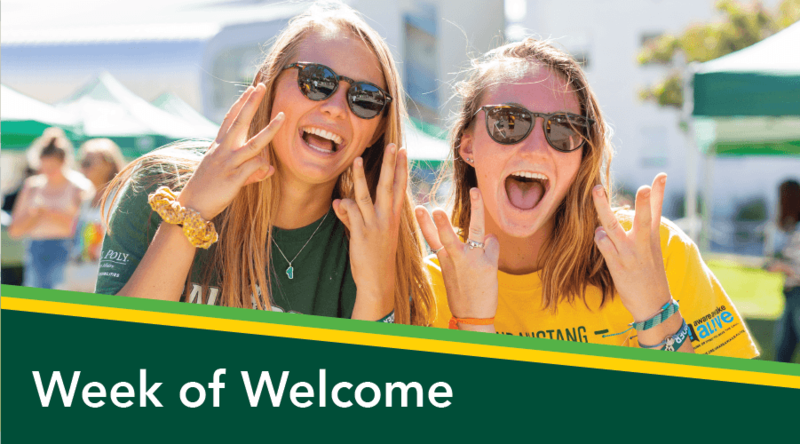 The University Welcome is the initial interaction admitted students have with Cal Poly to learn about this school. There are two University Welcomes with three colleges in each. Important members of Cal Poly will be speaking about their experiences at and what we have to offer. The Resource Fair is an informational event for prospective students and supporters attending Open House. This event showcases a large variety of resources on campus that will be relevant to incoming students and their supporters. Each resource will display what they do, how they do it, and why they are an important source for Cal Poly students. Furthermore, resources will set up booths, provide information, and answer questions for parents and supporters. Friday Nite Invite is an event where prospective students can connect with each other and clubs and organizations while grabbing pizza and ice cream cake, as well as enjoy games and a live DJ. The Transfer Mixer will be a chance for potential transfer students to meet and interact. There will also be an informational panel with time for students to ask questions. Food and drinks will be provided. 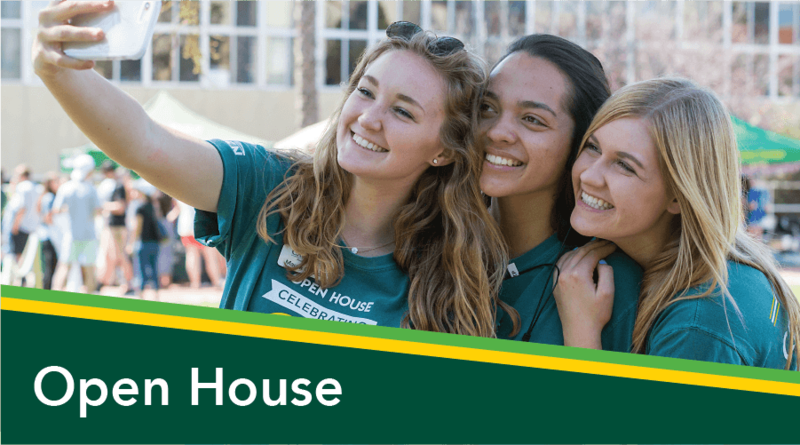 While students are enjoying Friday Nite Invite, parents and supporters are invited to Coffee House, where they can talk to current students from all six of Cal Poly's colleges while enjoying coffee from local vendor BlackHorse. There will also be speakers from Administration as well as Parent & Family Programs. The Poly Royal Parade involves various groups, clubs, and organizations on and off of campus, showcasing the many opportunities that students at Cal Poly have to offer. Participants will be encouraged to make a float, sign, or other representation of what they do on or off campus. The Parade will occur on a designated route through Cal Poly’s campus. Open House Opening Ceremonies is an event where important members of Cal Poly speak to the admitted students as well as their families. Along with the speakers, Open House Committee will be honored. This event is an exciting kick-off to the Poly Royal Celebration on Saturday. At Campus Showcase Cal Poly Clubs and Organizations get a chance to show off what they do with booths, activities, food, and much more. Over 200 clubs are represented at this fun and interactive event. Dexter Stage is an event that showcases all of the talent that Cal Poly has to offer. These performances can include bands and other signing acts, or clubs and dance teams depending on the theme that is picked. Any other forms of entertainment can also participate in Dexter Stage. 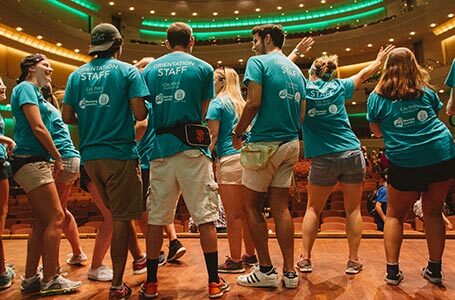 Special Events are put on by other Cal Poly organizations and clubs to showcase their unique opportunities. Keep checking back up to Open House, because more special events are being added all the time! The 79th annual Poly Royal Rodeo at Cal Poly’s Alex G. Spanos Stadium will be held Friday, April 12 and Saturday, April 13, from 5:30 to 10 p.m. The two back-to-back performances will be followed by a headline concert featuring country superstars Chancey Williams and the Younger Brothers Band on Friday and Casey Donahew on Saturday. Poly Royal Rodeo is the marquee event on campus during Cal Poly’s annual Open House. With a performance each night, many of the 45,000 people on campus that weekend will have an opportunity to enjoy the event. Learn more about the rodeo and purchase your tickets online here. Join the computer engineering, electrical engineering, computer science and software engineering programs for an exciting hands-on showcase. Enjoy interactive displays and games. Pasture on the corner of Highland Dr. and Mt. Bishop Rd. The Poly Royal Truck and Tractor Pull has been held at Cal Poly, San Luis Obispo almost every April since 1972. It is one of the largest events at Open House, drawing nearly 4,000 spectators and over 50 competitors from the Western United States. The event is run by Cal Poly Tractor Pull Club and the proceeds from the event bolster a scholarship endowment that goes to hard-working students of the College of Agriculture, Food, and Environmental Sciences. In 2016, the scholarship fund gave out over $30,000 to students. A free recital featuring student instrumentalists and vocalists, majors and non-majors. Come back to Cal Poly for the 4th Annual Poly Royal Alumni Beer and Wine Garden! Reconnect with classmates and faculty after a day of exploring student projects and displays celebrating Learn by Doing at Open House! Your ticket includes unlimited local beer and wine tastings and appetizers. It's a great way to meet up with alumni before the Poly Royal Rodeo or an evening downtown. Any way you plan it, you're in for a great weekend! 21 and older with valid ID, rain or shine. 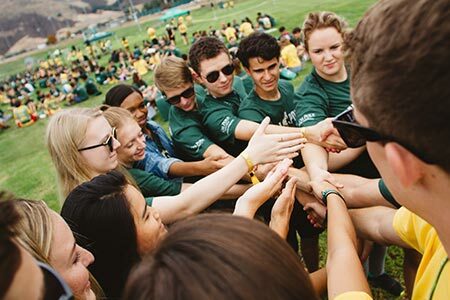 Cal Poly encourages inclusivity in all its programs and activities. 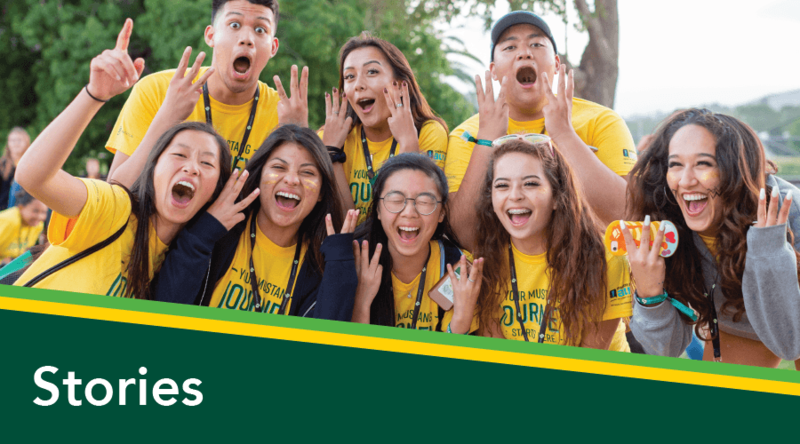 If you anticipate needing any type of accommodation, including (but not limited to) physical access or Deaf/Hard of Hearing services, please contact New Student & Transition Programs (orientation@calpoly.edu) in advance of your participation or visit.